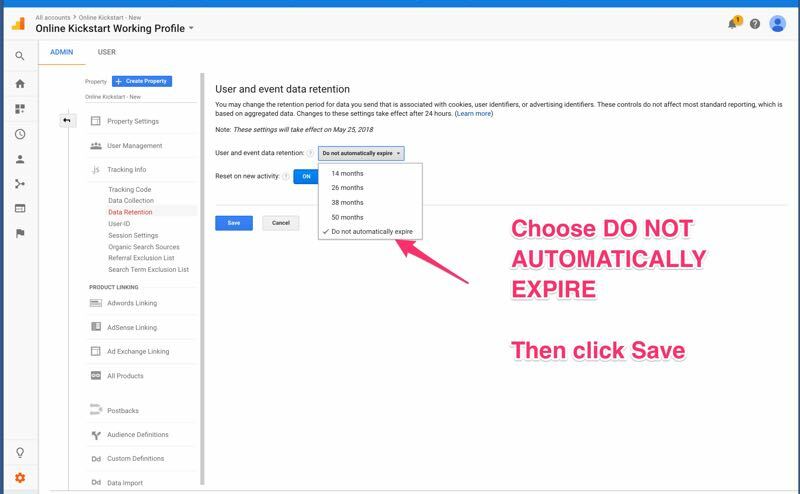 Google's new data retention controls will mean you will lose historical user data, unless you update your settings by 25th May 2018. Here's how. 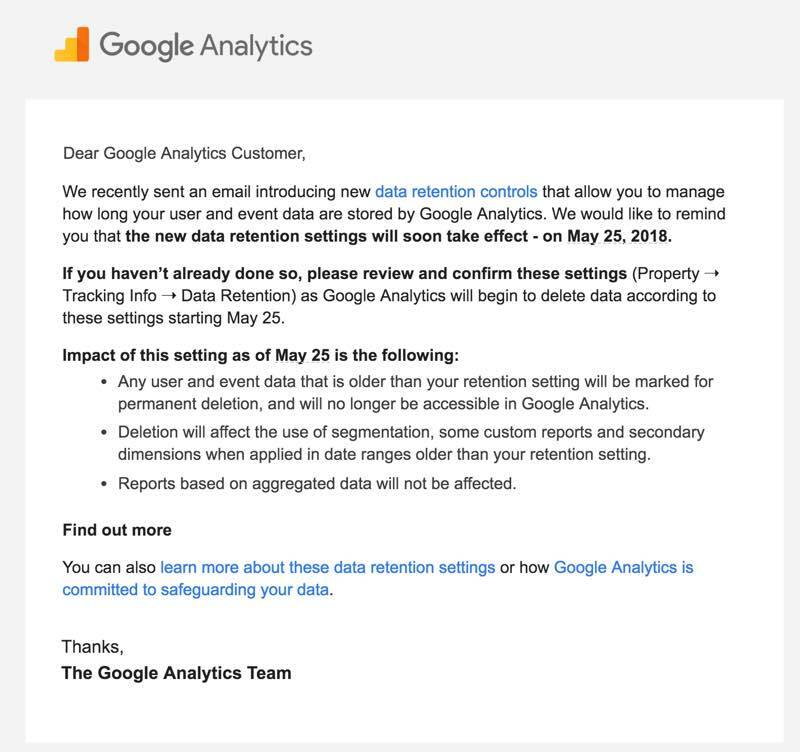 Google recently sent out an email to users of Google Analytics advising them of new data retention controls that give you the ability to set the amount of time before user-level and event-level data stored by Google Analytics is automatically deleted from Analytics' servers. These new data retention settings take effect on May 25th, 2018. Here is the email if you missed it. Here is the impact of this setting as stated in the email. 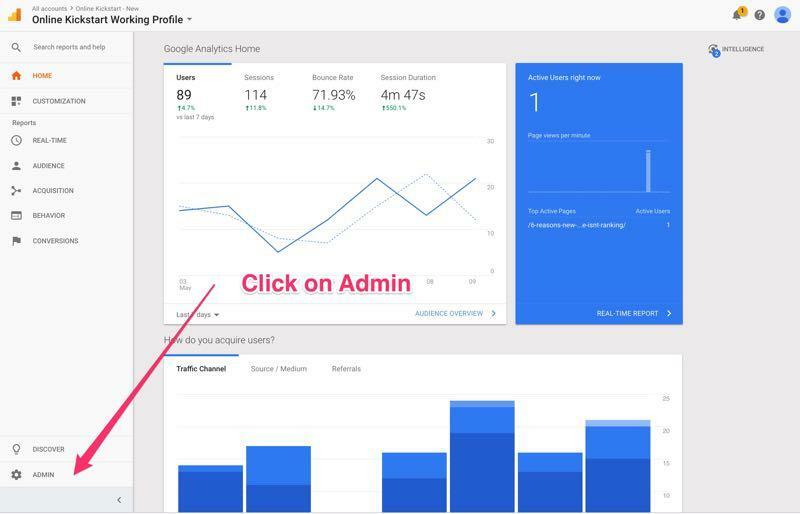 • Any user and event data that is older than your retention setting will be marked for permanent deletion, and will no longer be accessible in Google Analytics. • Deletion will affect the use of segmentation, some custom reports and secondary dimensions when applied in date ranges older than your retention setting. • Reports based on aggregated data will not be affected. I came across a video by Jeff Sauer who published a video on the topic. If you want, it's worth checking out here. The key issue is that while you won't lose aggregated data, that is, reports that are based on summarised data, you will lose access to ad hoc reports. While dumping your user data won't affect aggregated reports, purging this data will eliminate your ability to run ad hoc reports on historical data. The ad hoc reports include a lot of features that are critical to data analysis. These are the features that rely on your sample data. And they include things like: segments, table filters, secondary dimensions, and custom reports. You essentially lose the ability to drill down into your data. 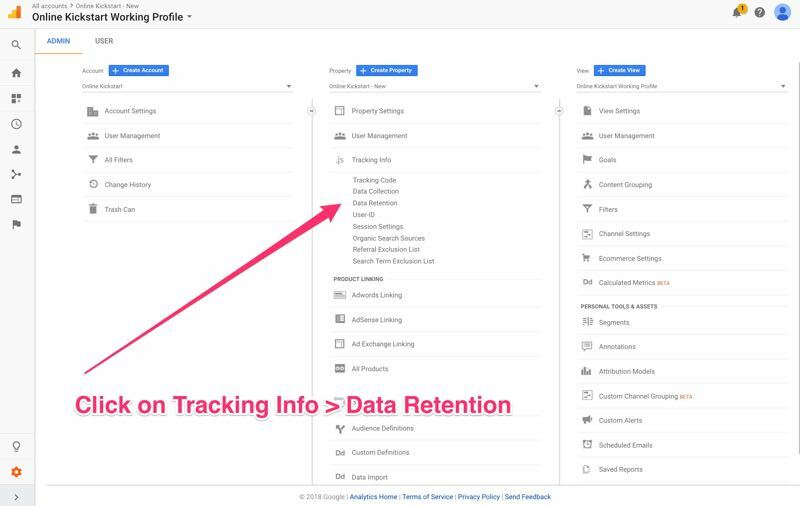 To make sure that you don't lose your historical data, you need to login to your Google Analytics account and update the Data Retention settings to make sure user and event data are retained indefinitely. And that's it. Remember you have until May 25th to take care of this.